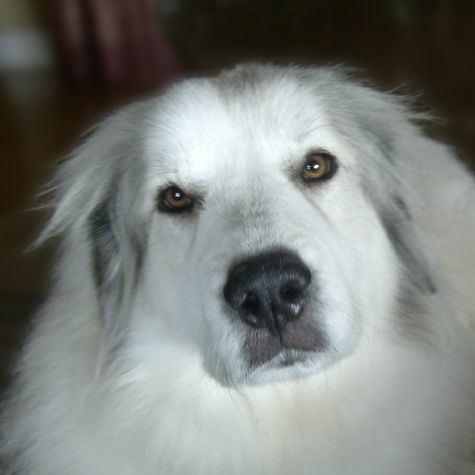 My name is Patou (pronounced Pat-too), and I am a Great Pyrenees. My name comes from the nickname for my breed in the Pyrenees Mountains. My mom rescued me when I was 1�, and she soon figured out that I love kids. I am really happy with my job as a therapy dog, since I get lots of cuddles from the students, patients, and staff that we visit. I feel proud when I�m wearing my uniform, and I love to have my picture taken.